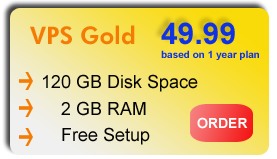 VPS ( Virtual Private Server ) Hosting is catered towards users that need more power and resources than shared hosting. 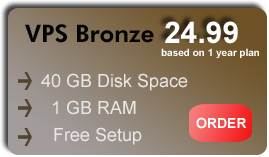 It is less expensive than a dedicated server, but has the capabilities that a dedicated server can provide. It has its own operating system, its own allotment of resources, ability to install your own software, and the ability to reboot independently of others. The prices above are quoted in CANADIAN dollars. HST applies to Canadian orders. We accept Visa, Master Card and American Express, cheque, money order, and email money transfer for VPS Hosting.